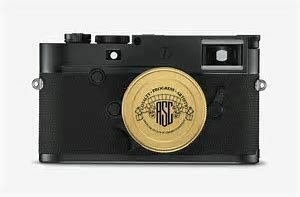 Celebrating the 100th anniversary of the American Society of Cinematographers, the Leica Company has created the new Leica M10-P “ASC 100 Edition” as a tribute to the world of cinema. The Leica M10-P “ASC 100 Edition ” offers cinematographers and directors the freedom to view and assess scenes with any desired lens before filming even begins. Comprised of a Leica M10-P camera and a Leica Summicron-M 35 f/2 ASPH. lens, the memorable set offers two specially tailored Cine Look modes built into the camera’s software that make it a focused professional tool for cinematographers and filmmakers. 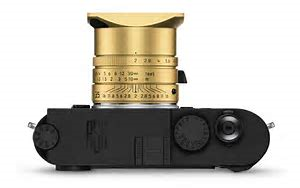 The set also includes a Leica Visoflex electronic viewfinder and a Leica M-PL-Mount Adapter that allows the use of almost all PL mount cine lenses available on the market. In collaboration with some of the world’s most influential cinematographers and members of the ASC, Leica has developed the new Cine Look feature, which provides directors an exceptional visual experience. The “ASC Cine Classic” mode simulates a classic, analog 35mm motion-picture film look, while the “ASC Contemporary” mode delivers the current digital style of contemporary movies. Additionally, aspect ratios that are used in cinematography can also be selected from the camera’s menu. Once activated, the selected aspect ratio is displayed as a bright-line frame in Live View mode. The combination of the included electronic viewfinder, M-PL-Mount Adapter, Cine Look pre-sets and aspect ratio options enables the use of the camera as a director’s viewfinder makes it an extraordinarily versatile and useful tool. Together with the Leica FOTOS App, location scouting can be made much easier, as results can be shared and discussed immediately with everyone involved in the filming project.